Describing data in three dimensions in the general case is a complex problem. Mayavi helps you focus on your visualization work and not worry too much about the underlying data structures, for instance using mlab (see mlab: Python scripting for 3D plotting). We suggest you create sources for Mayavi using mlab or Mayavi sources when possible. However, it helps to understand the VTK data structures that Mayavi uses if you want to create data with a specific structure for a more efficient visualization, or if you want to extract the data from the Mayavi pipeline. When you load a file, or you expose data in Mayavi using one of the mlab.pipeline source functions (see Data sources), you create an object in the Mayavi pipeline that is attached to a scene. This object is a Mayavi source, and serves to describe the data and its properties to the Mayavi pipeline. The internal structures use to represent to data in 3D all across Mayavi are VTK datasets, as described below. One should not confuse VTK (or TVTK) datasets and Mayavi data sources . There is a finite and small number of datasets. However, many pipeline objects could be constructed to fit in the pipeline below a scene and providing datasets to the pipeline. Mayavi uses the VTK library for all its visualization needs, via TVTK (Traited VTK). The data is exposed internally, by the sources, or at the output of the filters, as VTK datasets, described below. Understanding these structures is useful not only to manipulate them, but also to understand what happens when using filters to transform the data in the pipeline. Connectivity is not only necessary to draw lines between the different points, it is also needed to define a volume. Implicit connectivity: connectivity or positioning is implicit. In this case the data is considered as arranged on a lattice-like structure, with equal number of layers in each direction, x increasing first along the array, then y and finally z.
Dataset are made of points positioned in 3D, with the corresponding data. Each dataset can carry several data components. Scalar or Vectors data: The data can be scalar, in which case VTK can perform operations such as taking the gradient and display the data with a colormap, or vector, in which case VTK can perform an integration to display streamlines, display the vectors, or extract the norm of the vectors, to create a scalar dataset. 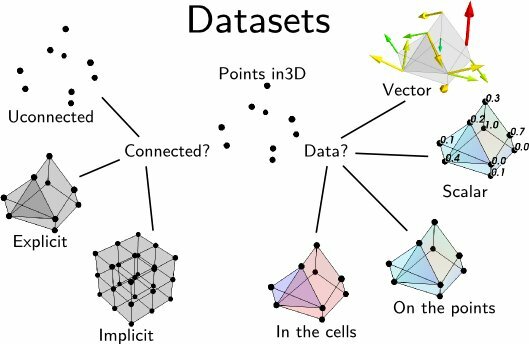 Cell data and point data: Each VTK dataset is defined by vertices and cells, explicitly or implicitly. The data, scalar or vector, can be positioned either on the vertices, in which case it is called point data, or associated with a cell, in which case it is called cell data. Point data is stored in the .point_data attribute of the dataset, and the cell data is stored in the .cell_data attribute. In addition the data arrays have an associated name, which is used in Mayavi to specify on which data component module or filter apply (eg: using the`SetActiveAttribute` filter). An complete list of the VTK datasets used by Mayavi is given below, after a tour of the Mayavi pipeline. As described earlier, Mayavi builds visualization by assembling pipelines, where the data is loaded in Mayavi by a data source , and it can be transformed by filters and visualized by modules . To retrieve the data displayed by Mayavi, to modify it via Python code, or to benefit from the data processing steps performed by the Mayavi filters, it can be useful to “open up” the Mayavi pipeline and understand how the data flows in it. Inside the Mayavi pipeline, the 3D data flowing between sources filters and modules is stored in VTK datasets. Each source or filter has an outputs attribute, which is a list of VTK datasets describing the data output by the object. Thus we can see that the Mayavi source created by mlab.surf exposes an ImageData VTK dataset. You may be interested in the data carried by the TVTK datasets themselves, rather than the values they represent, for instance to replicate them. For this, you can retrieve the TVTK datasets, and inspect them. The way this array is build is a sequence of a length descriptor, followed by the indices of the data points connected together in the points array retrieved earlier. Here we have only sets of pairs of points connected together: the array is an alternation of 2 followed by a pair of indices. A full example illustrating how to use the VTK Delaunay filter to extract a graph is given in Delaunay graph example. 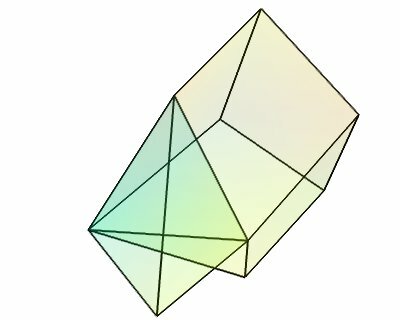 As you can see from the above example, it can be interesting to use Mayavi just for the numerical algorithm operating on 3D data, as the Delaunay tessellation and interpolation demoed. This dataset is made of data points positioned on an orthogonal grid, with constant spacing along each axis. The position of the data points are inferred from their position on the data array (implicit positioning), an origin and a spacing between 2 slices along each axis. In 2D, this can be understood as a raster image. This is the data structure created by the ArraySource mayavi source, from a 3D numpy array, as well as the mlab.pipeline.scalar_field and mlab.pipeline.vector_field factory functions, if the x , y and z arrays are not explicitely specified. This dataset is made of data points positioned on an orthogonal grid, with arbitrary spacing along the various axis. The position of the data points are inferred from their position on the data array, an origin and the list of spacings of each axis. This dataset is made of data points positioned on arbitrary grid: each point is connected to its nearest neighbors on the data array. The position of the data points are fully described by 1 coordinate arrays, specifying x, y and z for each point. # Find the x values and y values for each plane. # we need len(x_plane)*len(z) points. 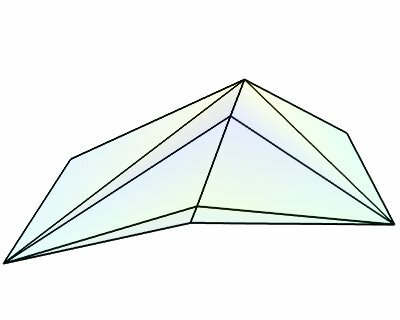 This dataset is made of arbitrarily positioned data points that can be connected to form lines, or grouped in polygons to from surfaces (the polygons are broken up in triangles). Unlike the other datasets, this one cannot be used to describe volumetric data. The is the dataset created by the mlab.pipeline.scalar_scatter and mlab.pipeline.vector_scatter functions. # The numpy array data. This dataset is the most general dataset of all. It is made of data points positioned arbitrarily. The connectivity between data points can be arbitrary (any number of neighbors). It is described by specifying connectivity, defining volumetric cells made of adjacent data points. # Create the array of cells unambiguously. # Now create the UG. # Now just set the cell types and reuse the ug locations and cells. This section of the user guide will be improved later. For now, the following two presentations best describe how one can create data objects or data files for Mayavi and TVTK. This presentation provides information on graphics in general, 3D data representation, creating VTK data files, creating datasets from numpy in Python, and also about mayavi. Presentation on making TVTK datasets using numpy arrays made for SciPy07. Prabhu Ramachandran. “TVTK and MayaVi2”, SciPy‘07: Python for Scientific Computing, CalTech, Pasadena, CA, 16–17 August, 2007. This presentation focuses on creating TVTK datasets using numpy arrays. Datasets example: Generate a simple example for each type of VTK dataset. Polydata example: Demonstrates how to create Polydata datasets from numpy arrays and visualize them in mayavi. Structured points2d example: Demonstrates how to create a 2D structured points (an ImageData) dataset from numpy arrays and visualize them in mayavi. This is basically a square of equispaced points. 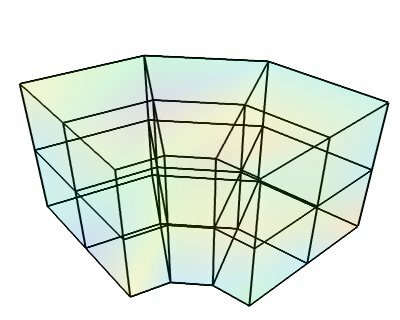 Structured points3d example: Demonstrates how to create a 3D structured points (an ImageData) dataset from numpy arrays and visualize them in Mayavi. 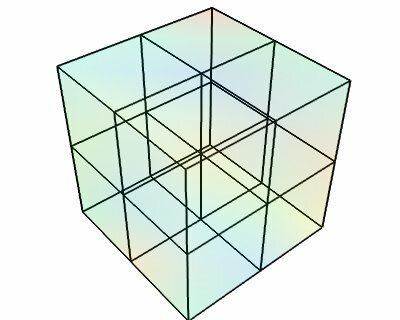 This is a cube of points that are regularly spaced. 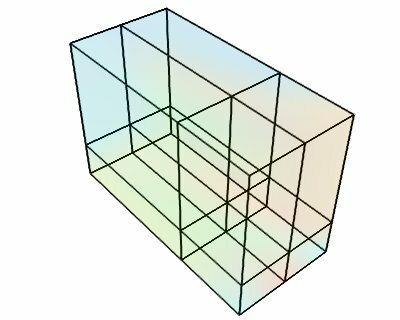 Structured grid example: Demonstrates the creation and visualization of a 3D structured grid. Unstructured grid example: Demonstrates the creation and visualization of an unstructured grid. Of course, unless you want specific control on the attributes of the VTK dataset, or you are using Mayavi in the context of existing code manipulating TVTK objects, creating an ImageData TVTK object is not advised. The ArraySource object of Mayavi will actually create an ImageData , but make sure you don’t get the shape wrong, which can lead to a segmentation fault. An even easier way to create a data source for an ImageData is to use the mlab.pipeline.scalar_field function, as explained in the section on creating data sources with mlab.